As you might have noticed, my family isn’t exactly traditional and the way we celebrate our holidays isn’t very traditional either. In fact, instead of a traditional Easter holiday, this year we are headed to the beach for a weekend of camping and we will have our Easter Egg Hunt around the campsite. I hope to have a tutorial for a fabulous Beach Towel Tote coming soon. I’m also not a big fan of the giant pink Easter baskets filled with pounds of plastic grass. Messy, ugly, and what the heck do you do with them after Easter. So this year I decided to make fabric baskets for each of my kiddos. When Easter is done, we can use them as storage in the bedrooms for toys, socks, or school supplies. I’ve been scouring the internet for brilliant fabric basket designs and below are my favorite finds! Let me know which you love the best and send me some photos if you decide to make some of your own! 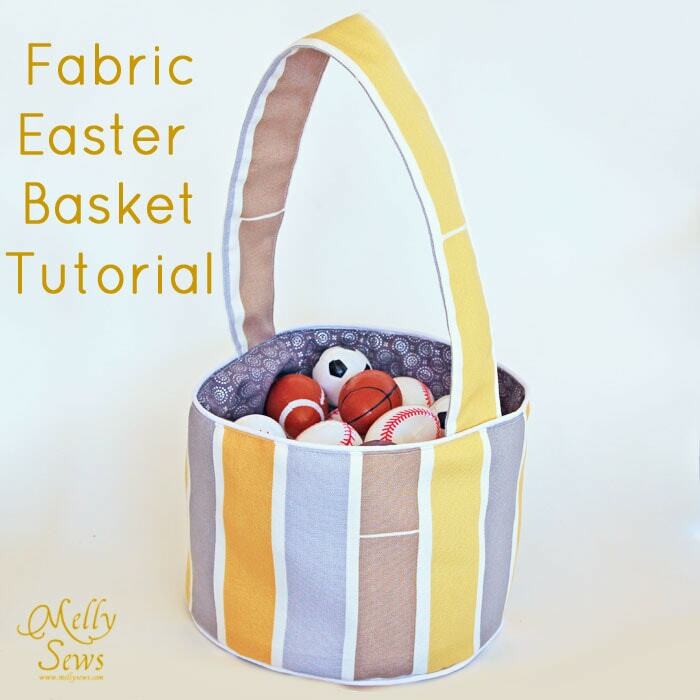 The first basket tutorial I found is a fairly traditional Easter Basket design from CraftyGemini. Just adorable! Next, I found this terrific up-cycling basket project from Threading My Way! I just love these baskets from Sew Mama Sew! They remind me of fortune cookies! My practical, organizer side just loves the boxy and sturdy look of this basket from Edith & Kaye! Here is another more traditional Easter Basket design, but with some great looking and versatile fabric. This design is from Melly Sews. I might not get to these before Easter, but I know my kids would go crazy for their own bicycle baskets. What a great way to carry snacks and a few sand toys when we head to the park. This great idea comes from Noodlehead! 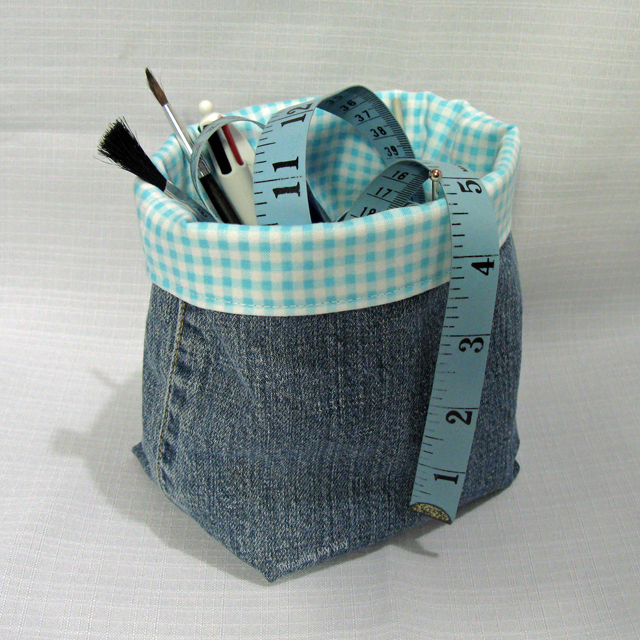 How about an Easter Basket that turns into the perfect craft tote when Easter is over. I love this waterproof fabric design from Sew Mama Sew! 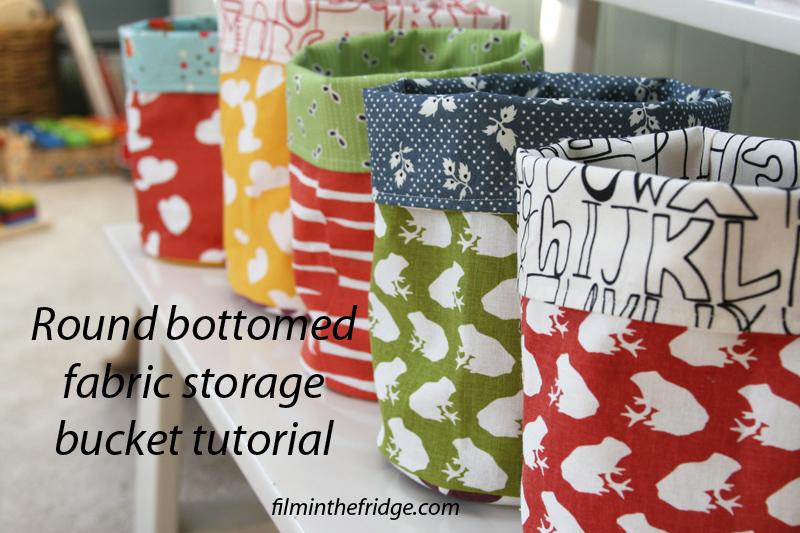 I want to line a long shelf with a collection of these Round Bottomed Storage Buckets from Film in the Fridge! 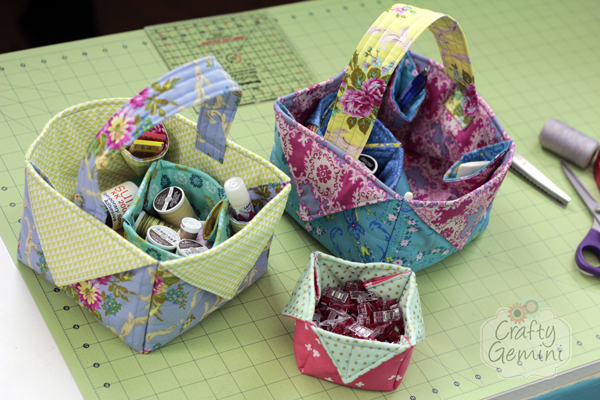 If you love quilting, this sweet basket from Sew Can She might just your style! 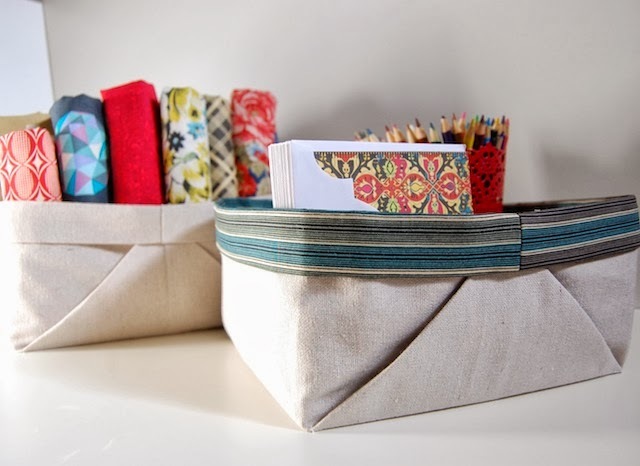 These great little baskets from Treasurie–Sewing and Craft Blog, can be made in several different sizes. And this tutorial comes with a video, too. My final find is this GORGEOUS woven basket from Mister Domestic. It looks a bit more time consuming, but oh my goodness what a great looking basket you’ll have! So, what are your Easter sewing plans? Any baskets making plans for this weekend? If you haven’t picked out your fabric yet for your Springtime projects, swing on over to More Love Mama! We’re having a sale now through March 29. Come get 10% off all items currently in stock for orders of $20 or more. And please be sure to share your projects! You can email photos to me at morelovemama@gmail.com or share them with us @morelovemama on Instagram!